The best just got better. Assuming that is possible. This contains a single story that focuses more on the people than the bigger picture. The narrative is superb, the characters are diverse and well realised, the dialogue is spot on and the ending is definitely eyebrow raising. Agent Graves just gets more complex by the issue. The true star here is the colourist, Patricia Mulvihill. From the very first page the colours look richer and snappier. Not necessarily what you would think appropriate for a noir thriller but expertly done. The lighting effects, the shadows, the colour casts, the whole nine yards is jaw-dropping. This is some of the best I have ever seen. Although digital it has such an organic and tangible feel that you think it is real. It is a wonderful work on every level that will be almost impossible to top. Double Thumbs Up! 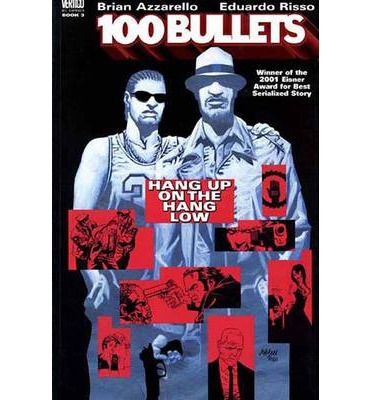 This entry was posted in Graphic Novel and tagged Brian Azzarello, DOUBLE Thumbs Up!! by 365gn. Bookmark the permalink.